Each of the 11 cottage homes at Rainier View Homes features a contemporary, open floor plan and Four Star Built Green certification. Rainier View Homes is near completion, with the first four homes ready for move-in. SEATTLE — Rainier View Homes, a first-of-its-kind collection of 11 cottage homes in South Seattle, is near completion, with the first four homes ready for move-in. Each home at Rainier View Homes features a contemporary, open floor plan with a loft or office and ample storage. Certified Four Star Built Green, the homes will also provide improved indoor air quality, water savings and energy efficiency. With convenient public transit access, Rainier View Homes offers easy commutes to Seattle, Renton and beyond. Gary Spohr and Wendy Wood, the husband-and-wife development team behind the project, have a passion for revitalizing the corridor between downtown Seattle and downtown Renton, which has already undergone its own recent renaissance period. The project is being listed by Urban 315 | Compass, founded by Jason Foss and Nick Glant of NWG | Compass (formerly NWG Real Estate). 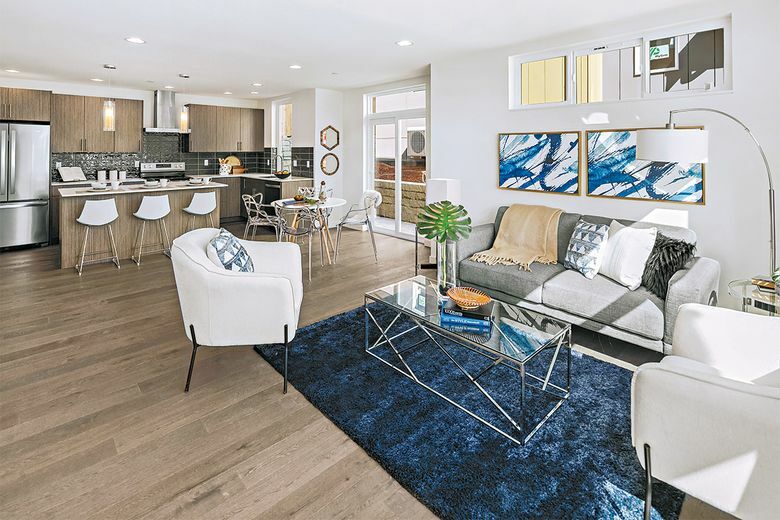 Urban 315 exclusively markets and sells boutique-scale projects in Seattle and on the Eastside. Foss says the developers who work with Urban 315 | Compass bring a rare and often irreplaceable offering of architecture, location and site development.